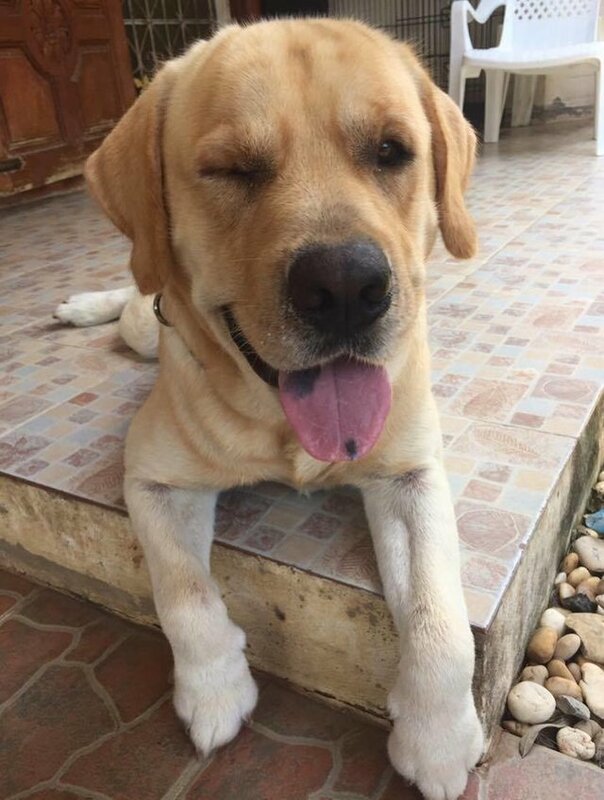 This is Messy — a sweet yellow Labrador who loves nothing more than being a friend. He lives in Thailand with his mom, Oranit Kittragul, but she’s not the only one who benefits from his big heart and affectionate personality. 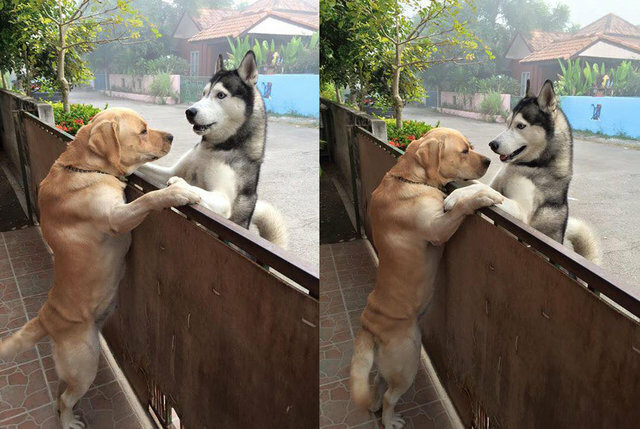 On the other side of the street from Messy and Oranit’s house lives a husky named Audi. His owner is usually gone from home for work, leaving Audi in the yard by himself. Like many pups left alone, Audi sometimes gets anxious. However, thanks to Messy being a stone’s throw away, Audi still has the company of a best friend. Audi, it seems, is comforted by Messy — and he finally got to thank him for that. One day, Audi’s owner apparently forgot to latch the gate to his yard as he was heading off to work — and the lonely husky saw his chance. Much to her surprise, Oranit discovered that Audi had escaped and was now perched upon her fence. Messy, of course, was there to greet him. 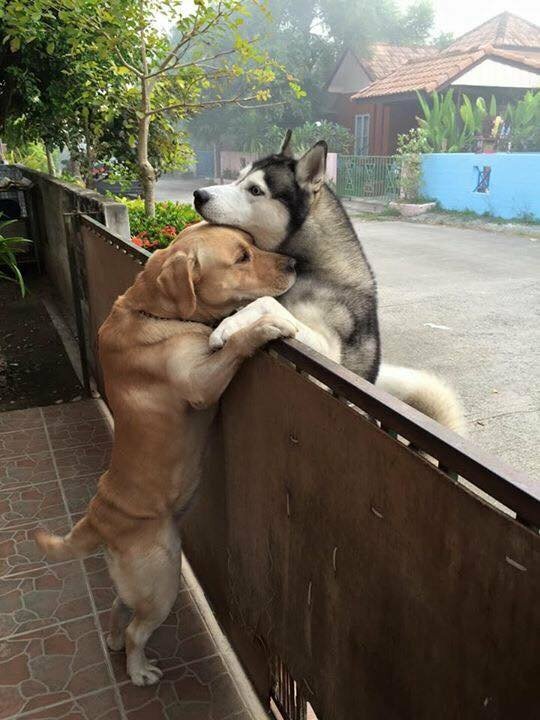 “He ran to my dog and they hugged each other,” Oranit said, snapping a photo of that tender moment. The sweet embrace between the two dogs was a brief one, as Audi was returned home. But it revealed that their bond is deeper than Oranit had realized before, forged despite the distance that divides them. 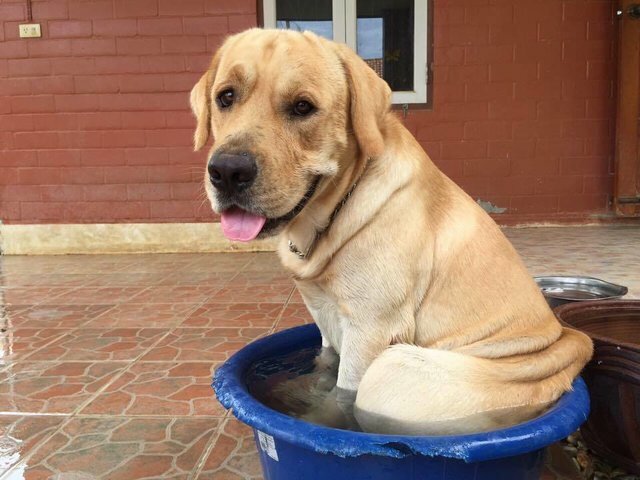 Given the connection between them, we hope the dogs’ owners will make arrangements for them to regularly get together to socialize face-to-face — but in the meantime, it’s heartening to know Messy’s kindness toward Audi has already blossomed into a beautiful friendship.